All Lexus' models are Recommended by Consumer Reports putting Lexus atop the Car Brand Report Cards for 2013 published in the April issue and available online at ConsumerReports.org. Lexus overall score was 79 followed by Subaru and Mazda tied at 76 with Toyota and Acura next with a score of 74. Overall, eight of the top 10 scores were earned by Japanese brands. 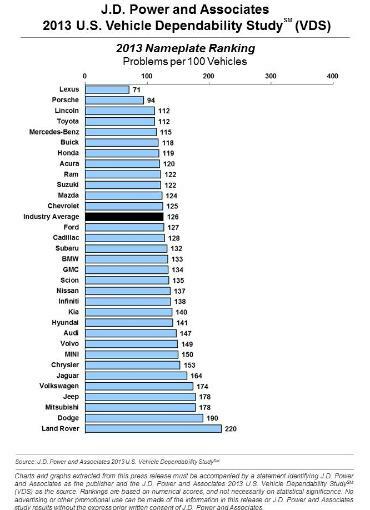 Audi was ranked 8th and Mercedes-Benz 10th. Consumer Reports is the world's largest independent product-testing organization. Using its more than 50 labs, auto test center, and survey research center, the nonprofit rates thousands of products and services annually. The Alfa Romeo 4C mid-engined rear-wheel drive 2-seater coupe, to be officially launched in Geneva next week, is being touted as the ‘compact supercar’. It's also expected to be sold through Fiat dealers in the U.S. this year marking the return of the brand to this continent. Designed by Alfa Romeo and produced in the Maserati plant in Modena, it's an Italian style sports car powered by a new 1.75 liter turbo-charged gas engine with direct injection mated to the “Alfa TCT” twin dry clutch transmission and the Alfa DNA shifter with a new Race mode. The Alfa Romeo 4C is 156 inches long on a 93.6 inch wheelbase which is a few inches shorter than the Mazda MX-5 Miata and more than 10 inches shorter than the Scion FR-S and Subaru BRZ. The Alfa Romeo 4C is more than two feet shorter than the Hyundai Genesis Coupe. We will know more about the Alfa Romeo 4C after its world premiere at the Geneva Auto Show next week. Tim Mahoney will be General Motors Chief Marketing Officer Global Chevrolet and Global GM Marketing Operations Leader, effective April 1st. Mahoney joins Chevrolet from Volkswagen, where he has been Chief Product and Marketing Officer since 2011. Prior to that Mahoney was at Subaru of America and Porsche Cars North America. 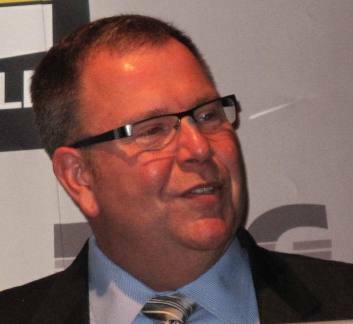 He will report to Alan Batey, GM Vice President, U.S. Sales and Service, and interim GM Global Chief Marketing Officer. In his new role, Mahoney will be responsible to execute Chevrolet’s new brand platform, Find New Roads, and for overall coordination of GM’s global marketing operations. Congratulations Tim! 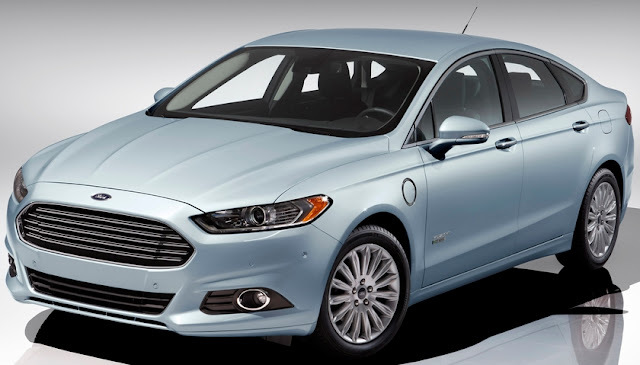 The all-new Ford Fusion Energi plug-in hybrid has been approved for use in California’s high-occupancy vehicle (HOV) lanes or carpool lanes as most of us call them. Ford Fusion Energi plug-in hybrid gets an EPA-estimated gas plus electric range of 620 miles, electric-only range of up to 21 miles, and EPA-estimated rating of 108 MPGe city, 92 MPGe highway and 100 MPGe combined. OK, so the first 21 miles of my 130 mile drive from Los Angeles to Palm Springs is electric and the remaining 109 miles is gas and the good news if I'm by myself I get to take the carpool lane unless of course there's an accident that slows all the lanes. So what do those 109 miles cost me? A little over a gallon (92 MPGe highway)? And while I'm in gas mode does the battery recharge off the motor and kick in for more electric miles later in the commute? I'd like to do test this a few times just to be certain. Ford Fusion Energi hits showrooms later this winter as Ford’s fifth new electrified vehicle to launch in the last 12 months and joins the Ford Focus Electric and C-MAX Energi plug-in hybrid that are eligible for buyers to receive a $1,500 tax rebate in addition to a $3,750 federal tax credit. Vehicles must qualify for tax rebates through California’s Clean Vehicle Rebate Project, which is overseen by the California Air Resources Board (CARB). A vehicle that qualifies earns a special sticker that identifies it as having HOV privileges. To qualify for the programs, a vehicle must be classified by CARB as a super ultra-low emission vehicle and be certified by the U.S. EPA to offer fuel economy of at least 45 mpg on the highway. 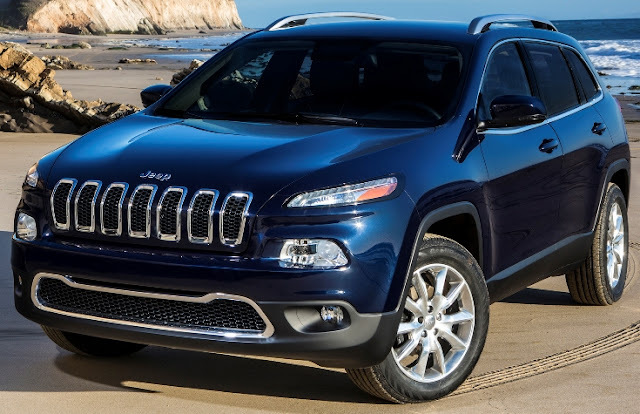 The all-new 2014 Jeep Cherokee mid-size SUV will debut in March at the New York International Auto Show and arrive in showrooms in the third quarter of this year. Hyundai has nine TV commercials that will air on Academy Awards night Sunday on ABC as the exclusive automotive sponsor of the Oscars broadcast for the fifth consecutive year. Seven 30-second spots will run during the ceremony and two 30-second ads during pre-show coverage featuring seven different Hyundai models and focusing on Hyundai's growing premium line up. 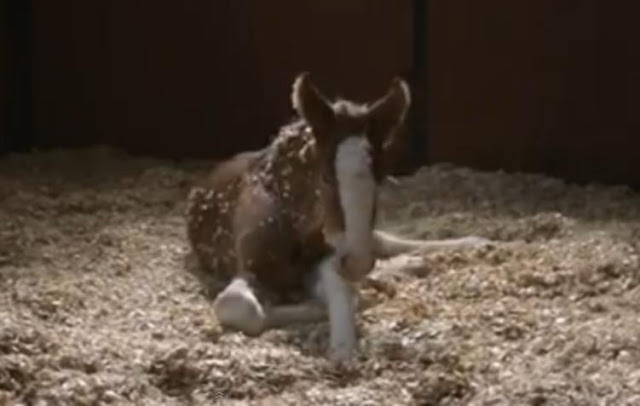 Three new spots voiced by Jeff Bridges are: "Equus the Trailer" looks at Hyundai's highest level luxury vehicle, "Paparazzi" highlights the Genesis and "Elevator Pitch" features amenities on the Elantra. 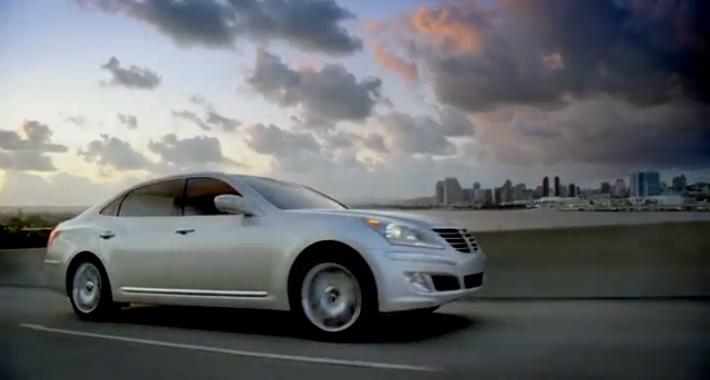 The remaining 30-second spots highlight Sonata Hybrid, Sonata Turbo, Santa Fe and Azera. Which 2010 model cars are the most dependable according to their owners after three years of ownership? The Lexus RX, with the fewest reported problems in the industry at just 57 PP100, led Toyota which captured seven model categories that also included the Lexus ES 350, Scion xB, Scion xD, Toyota Prius, Toyota Sienna and Toyota RAV4. This is the first time in the history of the study that a crossover or SUV has topped the list. General Motors came through with four segment awards for the Buick Lucerne, Chevrolet Camaro, Chevrolet Tahoe and GMC Sierra HD. Honda had two model-level awards for the Acura RDX and Honda Crosstour. The Audi A6, Ford Ranger, Hyundai Sonata, Mazda MX-5 Miata, and Nissan Z also receive segment awards. This could be valuable information if you're looking to buy a used car, maybe one that's coming off a three year lease. Obviously mileage and vehicle condition are other factors to consider. Lexus ranks highest in vehicle dependability among all nameplates for a second consecutive year. Rounding out the five highest-ranked nameplates are Porsche, Lincoln, Toyota and Mercedes-Benz (see above). Chrysler's Ram brand posts the greatest year-over-year improvement from 2012 by 52 PP100. In 2013, overall vehicle dependability averages 126 PP100, a five percent improvement from the 2012 average of 132 PP100 making it the lowest problem count since the inception of the study in 1989. The 2013 Vehicle Dependability Study is based on responses from more than 37,000 original owners of 2010 model-year vehicles after three years of ownership. The study was fielded between October and December 2012. NISMO, Nissan's performance arm is introducing the 2013 JUKE NISMO and the 2014 370Z NISMO. The 2014 370Z NISMO, which goes on sale this summer, features a number of exterior and interior enhancements that follow the global NISMO red-accented design theme. It is powered by an advanced 350-horsepower 3.7-liter DOHC V6 engine. The 2013 JUKE NISMO model features nearly 100 individual revised components, including a NISMO-tuned 197-horsepower 1.6-liter DIG turbo engine, NISMO-tuned suspension, bold aerodynamic styling with a 37 percent improvement in downforce (versus non-NISMO models), NISMO interior with deeply bolstered front seats and red accents and lightweight 18-inch aluminum-alloy wheels. The all-new Forte 5-door SX hatchback with an all-new 201 horsepower 1.6-liter gasoline direct-injected turbocharged four-cylinder engine mated to either a standard 6-speed manual transmission or 6-speed automatic featuring steering-wheel-mounted paddle shifters is expected to go on sale in the third quarter of this year, and pricing will be announced closer to launch. The Forte EX base model has a 173 horsepower 2.0-liter GDI four-cylinder engine with 16-inch alloy wheels, UVO eServices with rear camera display, Bluetooth wireless technology, SiriusXM Satellite Radio, leather-wrapped steering wheel with integrated audio and cruise control buttons, FlexSteer tilt and telescoping steering column, power windows, and LED positioning headlights with fog lights. The Kia Cross GT concept reveals Kia’s intentions to potentially offer a larger premium CUV than the current Sorento with a wheelbase that is longer than the Sorento’s by 15.7 inches and an overall length of 192.8 inches that is 8.4 inches more than Sorento. The concept powertrain is Kia’s proven hybrid technology using a 3.8-liter V6 hybrid, 8-speed automatic and torque-vectoring all-wheel-drive with a pancake-shaped electric motor sandwiched between the V6 and transmission delivering 400 horsepower, with an all-electric range of 20-miles. The 2014 Chevrolet Cruze Clean Turbo Diesel with a 148 horsepower 2.0L turbo-diesel engine mated to a six-speed automatic transmission is coming this summer with a starting price at $25,695 (including a $810 destination charge). 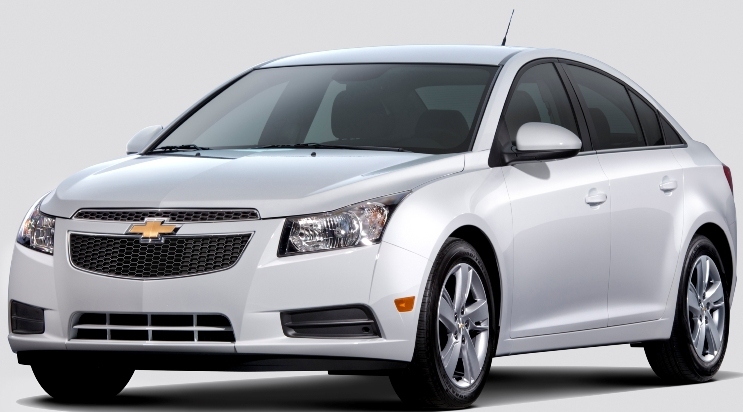 Based on GM testing, the Cruze Clean Turbo Diesel gets an estimated 42 mpg on the highway. Other standard features include Chevrolet’s infotainment system MyLink, a two-year maintenance plan, and a five-year 100,000 mile powertrain warranty. Currently, the high end gas-powered Cruze LTZ starts at $24,345 (including $795 destination charge) with a 138 horsepower turbo 1.4 liter engine that gets 38 mpg on the highway. The 2014 Beetle GSR (Gelb Schwarzer Renner or “Yellow Black Racer”) in yellow and black, like its 1970s predecessor, the GSR debuts a 210 horsepower 2.0-liter turbocharged inline four-cylinder TSI® engine that will be fitted to the Jetta GLI and Beetle Turbo during the 2013 model year. Just like its predecessor, only 3500 GSR models will be made and more than half of those will be sold in the U.S. The GSR is based on the Beetle Turbo with Sunroof and Sound model so it comes equipped with the Fender® Premium Audio System; a panoramic sunroof; Keyless access with push-button start; Bi-Xenon headlights with LED DRLs; LED license-plate lighting; heatable front seats; Bluetooth® connectivity; a Media Device Interface (MDI) with iPod® cable; three-color ambient lighting; aluminum-alloy pedals; and three auxiliary instruments that include a clock with a stopwatch function and a boost gauge. 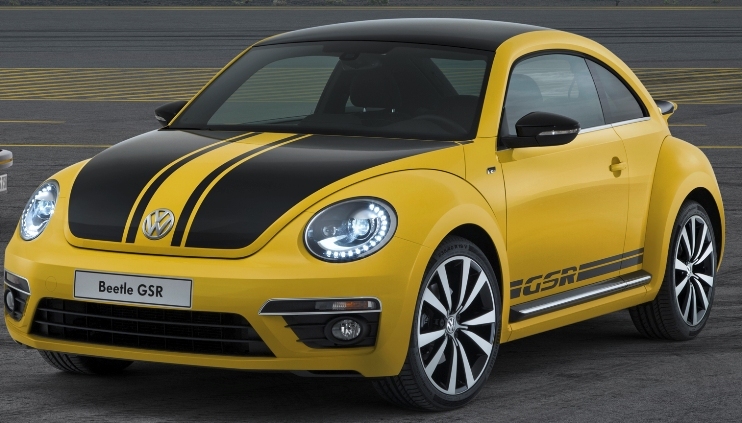 The Volkswagen Beetle GSR will go on sale in the fall as a 2014 model; pricing will be announced closer to launch. The Beetle R-Line, with the Beetle Turbo’s sport-tuned suspension, will be added to the Volkswagen line-up for model year 2014 with performance-inspired exterior and interior treatments like 19-inch aluminum-alloy wheels on lower-profile all-season tires. The GTI Wolfsburg Edition and GTI Driver’s Edition will be offered in limited quantities for the final model year of the sixth-generation hot-hatch. The first to go on sale is the GTI Wolfsburg Edition, which will be in dealerships during the first quarter starting at $25,095 for a six-speed manual transmission version or $26,195 when equipped with a six-speed DSG® dual-clutch automatic transmission. 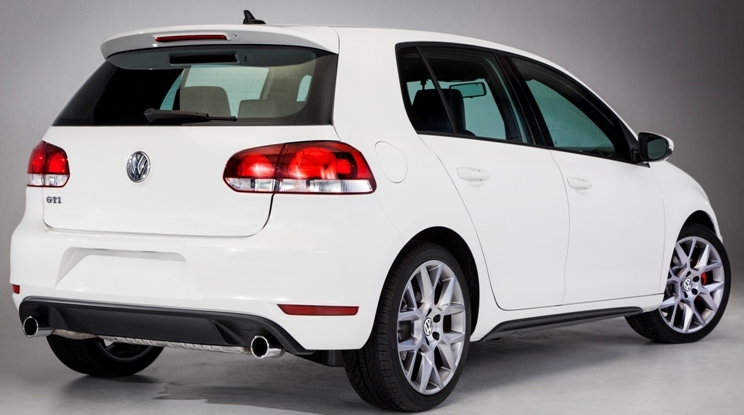 There will be a total of 2000 Wolfsburg Edition models. The GTI Driver’s Edition arrives early in the second quarter of 2013 is the GTI Driver’s Edition with the GTI Sunroof and Navigation package and adds the 18-inch aluminum-alloy Laguna wheels, a golf ball shifter knob, red-stitched carpeted floormats, and partial leather seat coverings. Just 3000 units will be sold in the U.S., priced from $29,695 with the manual transmission and from $30,795 for the version with the six-speed DSG transmission. The redesigned 2014 Toyota Tundra full-size pickup truck comes in SR, SR5, Limited, Platinum and the all-new 1794 Edition and offers three engine choices. A 270 horsepower 4.0-liter Dual Overhead Cam V6 paired with a five-speed automatic transmission with uphill/downhill shift logicis is standard on the Tundra Regular and Double Cab. The available 310 horsepower 4.6-liter DOHC i-Force V8 and the 381 horsepower 5.7-liter DOHC i-Force V8 come in both gasoline and "Flex Fuel" variants and standard with a six-speed electronically controlled automatic transmission. Tundras will have a new Blind Spot Monitor with Rear Cross Traffic Alert, a standard back-up camera (viewed from the audio display screen), and standard Bluetooth. Additional standard features include a 3.5-inch multi-information display in the gauge cluster. Sales of Tundra topped 100,000 in 2012 for the first time since 2008. The redesigned 2014 Tundra will reach Toyota dealers in September. The Tundra pickup has been the platform for the Sequoia SUV so stay tuned for the third generation Sequoia which will be its first update since 2008. 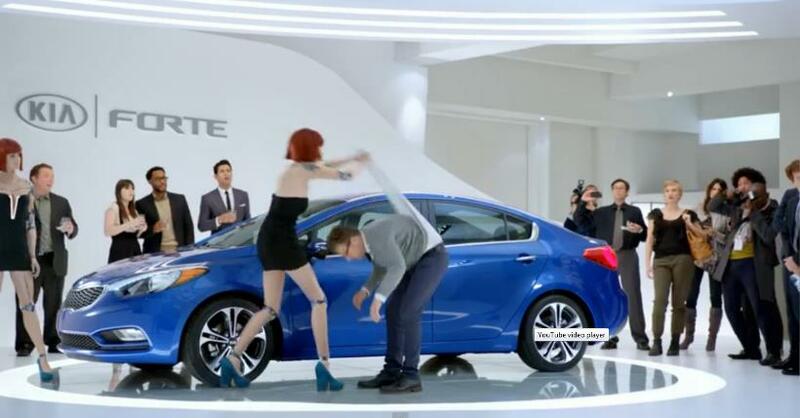 The all-new 2014 Kia Forte compact sedan, scheduled to arrive in retail showrooms in late-first quarter or early second quarter, was featured in Kia's Super Bowl ad, "Hotbots", where a futuristic robot is played by former Miss USA Alyssa Campanella. The Jeep and Ram Truck brands each introduced two-minute videos during Super Bowl XLVII. Jeep® brand’s two-minute spot, “Whole Again,” is a letter read by Oprah Winfrey, from the Jeep brand and the American people to the service men and women of the six branches of the armed forces. The new Ram Truck spot, “Farmer,” was inspired by the stirring “So God Made a Farmer” tribute delivered by legendary radio broadcaster Paul Harvey and used as an anthem in grassroots videos created by farm families over the past three decades. The Ram Truck brand commissioned 10 noted photographers including National Geographic's William Albert Allard and documentary photographer Kurt Markus to document American farm life. Lincoln's second Super Bowl ad for the 2013 MKZ is titled “Phoenix,” and graphically showcases the new beginning of the brand with an MKZ emerging from the flames of a Lincoln Town Car. Somewhat better than their other "tweet-created" spot. Overall winner, hoofs down, was a commercial featuring an older mode of transportation. A real tearjerker - the Budweiser spot: The Clydesdales: "Brotherhood" with Stevie Nicks "Reflections" song and a 7 day old foal, the newest member of the Clydesdales - looking for a name. And that, my friends, is the rest of the Super Bowl commercial story. 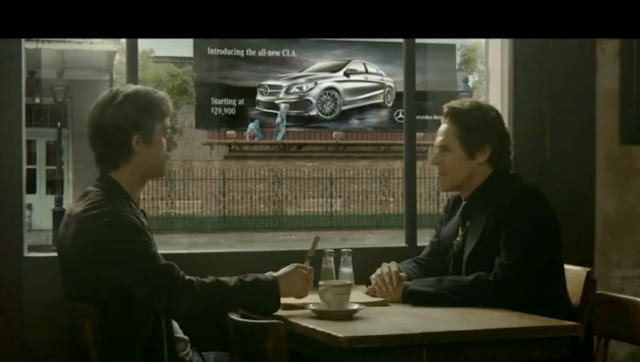 No shortage of A talent for the CLA in Mercedes-Benz Super Bowl commercial. Actor Willem Dafoe plays the devil who tries to get a young man to sign away his soul for the new CLA but just as he's about to, he sees the $29,900 price for the all-new Mercedes-Benz CLA on a billboard across the street. The CLA will be hitting showrooms in September. The ad features supermodel Kate Upton and Usher and the powerful Rolling Stones song Sympathy for the Devil which was also in the effective teaser spot. General Motors sold 194,699 vehicles in the United States in January, up 16 percent compared with a year ago. Retail sales were up 24 percent. Fleet sales were down 2 percent. Ford January U.S. sales were 166,501, growing 22 percent year-over-year – with retail sales up 24 percent. Gains were made across the product lineup, with cars up 34 percent, utilities up 23 percent, and trucks up 11 percent for the month. Toyota reported monthly sales of 157,725 in January 2013, up 26.6 percent. Chrysler reported U.S. sales of 117,731, a 16 percent increase compared with sales in January 2012 and the group's best January sales since 2008. American Honda reported January 2013 U.S. sales of 93,626, an increase of 12.8 percent compared with January 2012. The Honda brand posted January 2013 sales of 84,137, an increase of 12.7 percent and Acura U.S. January sales of 9,489 was a 13.2 percent rise compared with January 2012. Nissan North America reported January U.S. sales of 80,919, up 2 percent. Nissan Division sales in January totaled 73,793, up 1.8 percent over the prior year making it the division's best January ever. Sales of Infiniti vehicles were 7,126, an increase of 4.9 percent over last January. Hyundai Motor America announced a new all-time record for January sales with 43,713, up 2.4 percent versus 2012. Kia Motors America reported an all-time record January selling 36,302 vehicles, a 2.2-percent increase over the same period in 2012. Volkswagen reported sales of 29,018 in January, a 6.7 percent increase over prior year sales. VW achieved 29 consecutive months of year-over-year growth and the best January since 1974. Over the last three years, VW has more than doubled its annual sales volumes. Separately, Audi reported January sales of 10,056 vehicles, a 7.5 per cent increase over the previous mark last year. The month also stands as the 25th consecutive month of record sales for Audi of America. Subaru reported 27,663 vehicle sales for January 2013, which represents a 21 percent increase over January 2012. These results follow four consecutive years of sales increases and more than 300,000 annual sales in 2012 – a first in company history. Mercedes-Benz USA reported sales of 24,059, a 10.7 percent increase over January 2012 making it the greatest year start in the company's history. The Mercedes-Benz model line alone marked its highest January numbers with sales of 22,501, up 10.8 percent. The BMW Group in the U.S. (BMW and MINI combined) reported January sales of 20,195 vehicles, an increase of 2.3 percent from the same month a year ago. Mazda North American Operations reported January U.S. sales of 21,319 vehicles, representing a decrease of 11.2 percent versus last year. Porsche announced record January sales of 3,358, an increase of 32 percent which follows Porsche's record-setting year in the U.S., with 35,043 vehicles sold in 2012. American Suzuki reported January 2013 automobile sales of 1,488, just shy of the 1,505 sales reported in January 2012. The results represent sales of remaining inventory as ASMC continues the wind-down of U.S. automobile sales.